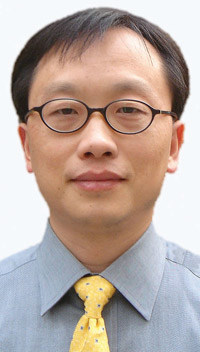 Yang Jian is a reporter for Automotive News. SHANGHAI -- China's media have heaped derision on General Motors' tentative agreement to sell Hummer to an obscure Chinese machinery manufacturer. GM is eager to dump the troubled brand to Sichuan Tengzhong Heavy Industrial Machinery Co. But media outlets question Tengzhong's seriousness. And even if the company is serious, they say, the Chinese government is unlikely to endorse the deal. "Is it an international acquisition or an international joke?" asked an editorial in the People's Daily, mouthpiece of the Chinese Communist Party. China's official Xinhua News Agency said it is like "a snake attempting to swallow an elephant." The Shanghai-based China Business News went one step further, speculating that Tengzhong's bid was staged to help its associated company raise capital in Hong Kong. On June 4, three days after GM disclosed its talks with Tengzhong, Lumena Resources Co., a chemical company, filed an application with the Stock Exchange of Hong Kong to raise up to $193.5 million through an initial public offering. Tengzhong and Lumena Resources are controlled by the same person, a Chinese national named Li Yan, according to Chinese media. To combat the skepticism, Tengzhong opened a section on its Web site explaining why it wants to buy Hummer and how it plans to revive the brand. But the explanation, worded in general terms, has failed to convince skeptics. At a press briefing last week, the spokesman of China's Ministry of Commerce said Tengzhong has yet to file its plan for government approval. While saying it is normal for Chinese firms to go global, the spokesman cautioned, "We hope Chinese companies learn more about international market rules and development trends in their industries and make prudent investments."